The new gas mask PMK-4 is fully integrated into the individual equipment "Ratnik-2" and adapted for perspective models, was accepted on supply of armed forces of Russia. According to Igor Kirillov, the head of the troops of radiation, chemical and biological protection of the armed forces major general, new gas mask combines all the good technical solutions used in the world practice of creation of means of individual protection of respiratory organs. The helmet-gas mask made of synthetic butyl rubber and silicone of domestic production, provides comprehensive protection and by elasticity exceeds of the best samples of foreign production. The technical level of the gas mask PMK-4 is not inferior to the best foreign analogs, but by the main protective and operational characteristics it exceeds them by 1.5-2 times. The technical solutions implemented in the gas mask of PMK-4 will be used to develop a gas mask in the interests of the Arctic troop. 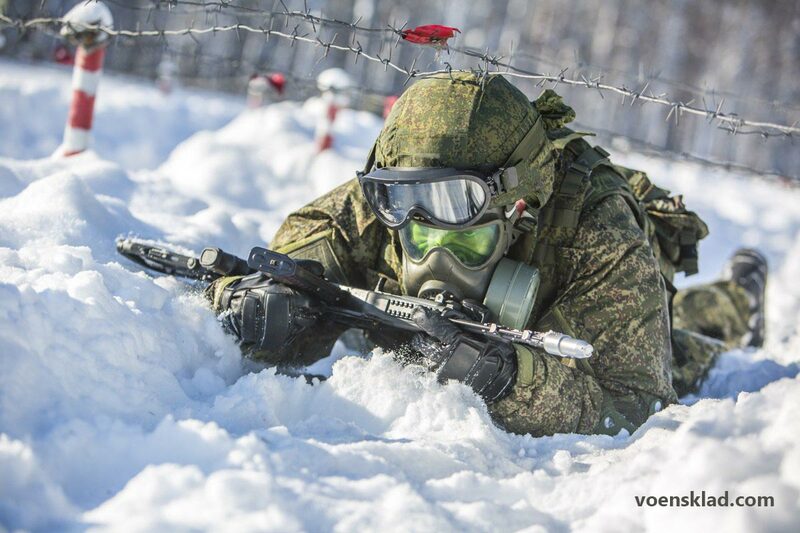 The issues of the mask compatibility with winter sets of combat equipment of servicemen will be worked out as well as the features of its operation in the conditions of the Far North.